Church officers and leaders : Who is a Bishop? Bible study: Offices in the Church: Who is a Bishop? Bishop is not recognised as a special office in the Bible. In several places where the term is used in the Bible, it refers to someone or anybody who preaches. In several places in the Bible the word Bishop is used interchangeably with Pastors, Servants, Overseers and Elders. Unfortunately, some Churches or ministers of God, these days have unduly magnified the office of the Bishop because they want to be specially recognized. Deacons are administrators and assistants of Bishops. All these positions are human creations, no more no less. The position of a Bishop much revered in the present day Church is equivalent to that of an Overseer, or a Pastor. This entry was posted in Babatope Babalobi, Character and tagged babalobi, Babatope Babalobi, bishop, church, church leaders, elder, good news, Jesus, pastor, Prayers. This entry was posted in Babatope Babalobi and tagged christian book distributors warehouse sale, christian book store online, christian book wholesale distributors, christian books, christian books free download, christian bookstores, christianbook free shipping, discount christian books, top christian books. This entry was posted in Babatope Babalobi, Christianity and tagged babalobi, christmas day, christmas decoration, christmas eve, christmas food, christmas gifts, christmas pictures, essence of christmas. December 6, 1966 was a beautiful Tuesday; somewhere in Mubi, Adamawa state, Nigeria, Pa Samuel Ogunsure Falobi and Deaconess Janet Olufunmilayo Falobi, from Iwoye Ijesa, Oriade Local Government, Osun State, Nigeria, joyously welcomed a child into the world. I was the fifth child in a family of eight, the third son. I come from a closely knit, monogamous, middle class family where Christian virtues is held in high premium. My father was a Teacher by profession but also had a passion for evangelism and missionary. He was a strong member of The Apostolic Church, and always established a branch of the church in every of his duty stations, if none existed. He was also a very strict disciplinarian, and humanitarian. My mother, who celebrated her 80th birthday last May, also retired as a Teacher, and now a Trader. She holds the distinction of being the first female Local Government Councilor in the then Ife/Ijesa (now Osun East) senatorial district, a position she occupied as far back as 1991. She is a Deaconess of The Apostolic Church and Choir mistress in the church, for over a decade. I was named Babatope Oluwarotimi Ebenezer Fiyinfolu Ayinla; which give praises to God Almighty, as my mother was involved in a car accident when she was pregnant of me, and I was born while she was still recuperating in the hospital from a fractured leg. Out of these names, I love Oluwarotimi most, though I am not well known by this name. Ebenezer is a Biblical name, taken from 1 Samuel 7 vs 12: “Then Samuel took a stone and set it up between Mizpah and Shen. He named it Ebenezer, saying, “Thus far the LORD has helped us”. During my teenage years, I adopted the nickname, ‘Ebino Topsy’, but this nickname has since been rebranded ‘Baba Ebino’ by my close friends. I attended several primary and secondary schools because my father’s job as an Inspector of Education always caused him to be transferred across the Northern states, before he relocated to the South in 1974. My primary education commenced in at Bolari Primary School, Gombe, Gombe state, Northern Nigeria, which explains my fluency in the Hausa language; and later Saint Mathew Primary School, Ijebu Ijesa, Osun state, when my parents resettled home in 1974. During my secondary education, I attended Ijebu Ijesa Grammar School, Ijebu Ijesa, between 1977-1978; transferred to African Church Grammar School (ACGS), Ilesa where I sat for the West Africa Schools Certificate Examination in 1982. I was Library Prefect at ACGS, in 1981. After secondary education, I proceeded to Ilesa Grammar School, Ilesa for the Higher School Certificate (HSC)/Advanced (A) levels, in English Literature, Government, and Economics, between 1982-1984. A notable skill that is found in my family is the skill to write and this trait enabled me to gain admission to the prestigious Department of Mass Communication, University of Lagos, Akoka in 1984, which I consider a privilege. I graduated with a BSc Mass Communication (Print Journalism) in 1987 and returned to UNILAG for a Masters in Environmental Management between 2010-2012. Presently, I am pursuing a Doctorate at the highly-rated University of Bath, Bath, United Kingdom in Health, hoping to graduate by 2018. 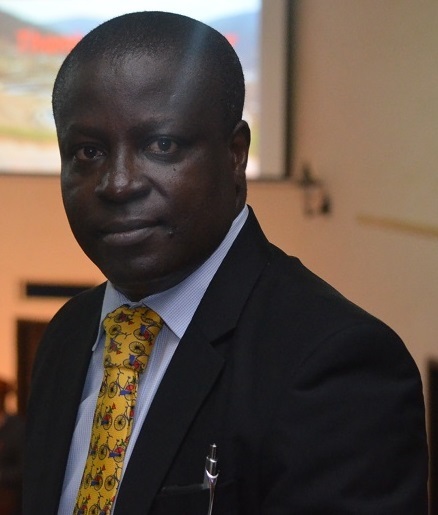 My career has spanned over the past three decades in different sectors which include me being a journalist, politician, civil society activist, development worker, Water Supply, Sanitation, and Hygiene (WASH) consultant, Christian blogger, and online bible teacher and preacher. I believe my greatest talent is writing and I have a love for journalism, though I did not pursue a career in journalism upon graduation in 1987. Previously, as an undergraduate, I served as Editor in Chief of the Faculty of Social Science Students (SOSSA) magazine, as well as a member of UNILAG’s Editorial committee. I also did all my vacation jobs in the defunct National Concord newspapers working as a Judicial reporter but occasionally venturing into other beats. Upon graduation, I was posted to Gulf Oil (now Chevron Oil) for my National Youth Service Corps (NYSC) where I served as Public Relations Officer. 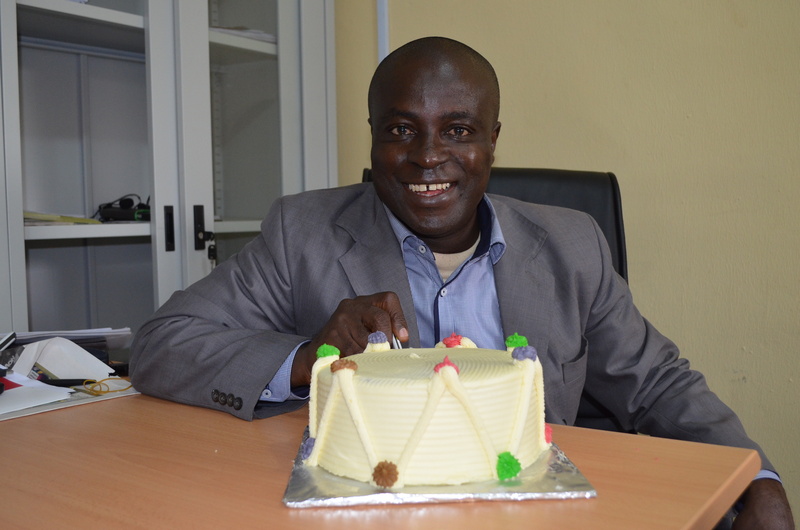 Imbued with an entrepreneurial spirit, I published Campus People, Nigeria’s Inter-campus news magazine between 1988-1991 serving as its Publisher/Editor in Chief, but was it rested due to financial constraints. Senior Sanitation Reform Expert of the European Union financed Water Supply and Sanitation Reform programme Phase III (WSSSRP III) in Ekiti, Adamawa, and Plateau states between June 2015 and May 2016. I founded Bread of Life Development Foundation (BLF) www.blfng.org in 2001, as a national water supply and sanitation advocacy non-governmental organization and I have since been the Executive Director. Over the years, I have worked as a water supply, sanitation and hygiene journalist, activist, and advocate; as well as a Consultant on urban and sanitation reforms, utility management, policy development, and institutional development to several development partners, government agencies, and bodies such as Water Aid, European Union, UNICEF, World Bank, Federal Ministry of Environment/UNDP, Federal Ministry of Water Resources/World Bank, United Kingdom based GRM International, and other International bodies. All these have been through God’s grace and favour. Additionally, I have presented professional and academic papers and posters on water supply, sanitation and hygiene issues at various International conferences including the World Water Forum, Mexico 2006, France 2012, and South Korea 2015; World Water Week in Stockholm 2001, 2006, 2008, 2009, 2010, 2011, and 2015; International Dry Toilet Conference, Tampere Finland, 2012 and 2015; and the African Sanitation and Hygiene conference, Kigali, Rwanda 2012, and Dakar, Senegal 2015. I was a finalist, (one of the only three from Africa, and the only one from Nigeria) of the World Water Prize at the World Water Forum in Mexico, 2006. Another privileged experience I had, was to be fully sponsored to participate in high level meetings in Senegal, Ghana, Liberia, Niger, Burkina Faso, Kenya, Rwanda, South Africa, India, Nepal, Sweden, Finland, Germany, France, U.S.A., and Mexico. In 2008, I was the Project Coordinator of a European Union funded consultancy that undertook comprehensive Organizational, Technical, Financial and Commercial Reviews of Osun State Water Corporation (OSWC) and Osun State Environmental Protection Agency (OSEPA) including private sector participation assessment as well as proposition of restructuring options. I was the Team Leader of ‘Project Reach’– Reaching the Urban Poor with Water and Sanitation Services programme, implemented in 22 small towns, Anambra State, Nigeria between 2009-2010, supported by European Union Water Supply and Sanitation Reform Programme Phase 1 (WSSSRP I). I had the distinction of being the Sole Consultant that developed Water supply, Sanitation and Hygiene (WASH) policies for five states in Nigeria – Kaduna, Ogun, Lagos (working draft), Cross River and Osun states. I also participated in the review of WASH policies of four other states- Ebonyi, Enugu, Adamawa, and Ekiti under programmes financed by the USAID, EU and World Bank/Federal Government of Nigeria respectively 2008-2015. I have been a member of the National Steering Committee, Country Water Partnership Nigeria, the highest multi stakeholder WASH platform Nigeria; founding Coordinator of the Civil Society Against Water Privatization in Nigeria (CISCAWP), now defunct; National Trustee of the Society for Water and Sanitation (since 2009), the umbrella network for all WASH non-governmental organizations in Nigeria; the National Chairman of the Water and Sanitation Media Network (since 2006), the umbrella network for all WASH journalists in Nigeria; and I previously served as the pioneer General Secretary of the West Africa Water and Sanitation Journalists Network – (between 2011-2013) – www.washjournalists.wordpress.com – a regional network of WASH Journalists in 14 countries. I have been the Editor of eWASH- www.assemblyonline.info Nigeria’s only WASH blog- since 2001; and was the Producer of ‘Access to WASH’, www.youtube.com/washjournalists – a weekly radio programme on WASH issues in Lagos state, aired on Radio 1, 103.5 FM every Tuesdays at 4.30pm in 2013. I have a heart for partisan politics, but have tactically stepped aside because of the murky nature of partisan politics in Nigeria. During my undergraduate days, I was elected Public Relations Officer of University of Lagos Students Union (ULSU) 1985/66, noted for its strident criticism and protested policies perceived by the ULSU to be against the interest of not only the students’ community but the Nigerian people. The Justice Mustapha Akanbi panel that investigated the 1986 nationwide Ahmadu Bello University student’s riots recommended my rustication for one year, but this was reversed due to a swift protest by UNILAG students. I was an aspirant for the defunct United Nigeria Congress Party (UNCP) for the Osun State House of Assembly in Oriade Local Government, Nigeria in 1996. Over the years, I worked as an aide to various public officers. Some of these appointments include: Special (Assistant) Information to Chairman, Oriade Local Government, Osun State, 1993; Press Secretary to Chairman, Somolu Local Government, Lagos State- in that same capacity, Chairman of the Local Government’s Special Duties Committee, 1996; Personal Assistant to Hon. Commissioner for Water Resources, Osun State, 2007; Personal Press Secretary to Federal Minister for Transport and Aviation, 1993; Chief Press Secretary to President of the Senate, 2000-2001. Recently, I founded the Movement for Revolutionary Change (MRC) as a political pressure group but its activities are yet to gather steam. I regard Late Aminu Kano of the defunct Peoples Redemption Party as my political hero, because of his ‘talakawa’ (pro poor) tendencies, – though I was never close to him. I will describe myself as a believer in the Nigerian dream based on political liberalism and social welfarism, but flirted with Marxism during my undergraduate days. By His grace, I was born into a Christian family, and grew up under the Pentecostal teachings of The Apostolic Church, Iwoye Ijesa. I have spent my adult years as a member of The World Overcomers Church, Abule Egba, Lagos, which I joined shortly after I became a born again Christian in 1996, and I received the baptism of the Holy Ghost shortly afterwards. I manage an online Christian blog called Save the World, www.christonline.wordpress.com influenced by a divine ministration in 2001 to ‘set the captives free and give sight to the blind’. Save the World uses various new media platforms to spread the gospel, through which I have published over 4000 Christian articles, about 150 video sermons via www.youtube.com/babalobi since its launch in 2007. I have also published two Christian books- ‘220 Names of God’ and ‘Power Over the Serpent’; the later chronicles the story of my healing, and deliverance from sin, sicknesses, and satanic afflictions. My unpublished books include: Qualities of Christian Leaders, Bible sermons, Daily devotionals, Breakthrough prayers, Commentary on Book of Mathew, Commentary on Book of Saint Mark, and Evangelist’s manual. Being an introvert, I have few friends and I don’t belong to any social club outside the church. I have never finished a stick of cigarette or a cup of beer and as a principle, I avoid all alcoholic drinks. My hobbies are walking, watching football, watching news channels, praying, and using the computer/internet especially social media to teach and preach the gospel. I married Bukola Babalobi nee Falore, on August 3, 1996 and God has blessed me with a successful marriage, happy family, and peaceful home. Our marriage is blessed with four God-fearing and excellent children. My father has been the greatest influence in my life, and have imbibed some of his traits including sacrificial honesty, humanitarianism, kindness, flair for evangelism, missionary spirit, passionate commitment to education, radicalism, independent mindedness, and humility. I rechristened/modified my biological surname; FALOBI to BABALOBI in 1997, (so that my surname would glorify God). The former surname means a child of ‘Ifa’, which is the idol god of wisdom in Yoruba ethnic group of Nigeria. While alive, my paternal grandfather was an ‘Ifa’ Priest and Head of ‘Ogboni’ cult in Ijesa land; and my paternal grandmother was a ‘Sango’ (god of thunder) Priestess, before her miraculous conversion to Christianity. Babalobi, my adulthood surname, means ‘a child of God’. This entry was posted in Babatope Babalobi and tagged babalobi, Babatope Babalobi. This entry was posted in Babatope Babalobi. Exodus 25 vs. 1 – 2 – And the Lord spake unto Moses, saying, 2 Speak unto the children of Israel, that they bring me an offering: of every man that giveth it willingly with his heart ye shall take my offering. Mark 12 vs. 41-44 – 41 And Jesus sat over against the treasury, and beheld how the people cast money into the treasury: and many that were rich cast in much. 42 And there came a certain poor widow, and she threw in two mites, which make a farthing. 43 And he called unto him his disciples, and saith unto them, Verily I say unto you, That this poor widow hath cast more in, than all they which have cast into the treasury: 44 For all they did cast in of their abundance; but she of her want did cast in all that she had, even all her living. This entry was posted in Babatope Babalobi, Sermons and tagged Babatope Babalobi, Bible study, Christian, christian prayers, Christianity, Devotionals, financial breakthroughs, offerings, Religion, Save the World, save the world prayer blog, Success, tithe. 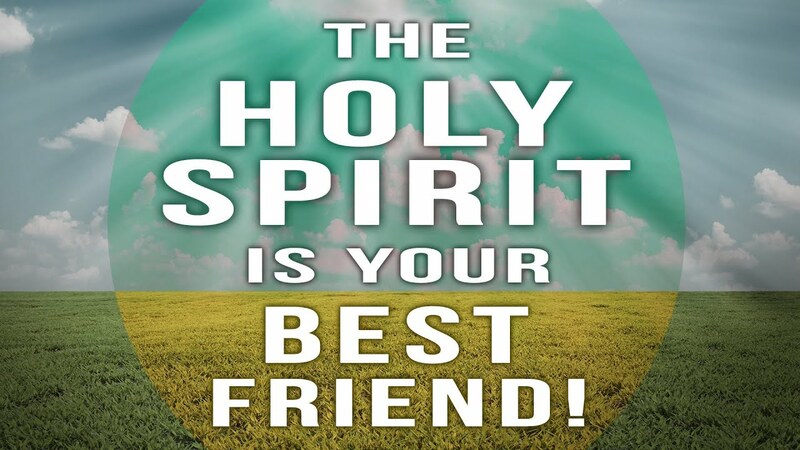 Holy Spirit as a person: Is the Holy ghost real? How to recover your lost glory by the power of the Holy Spirit? I misplaced my eye glasses a week ago. Exactly on the morning of November 7, 2015, I woke up without seeing my glasses, and could not remember where I kept it. The last two places I visited was my office and a restaurant. I conducted searches and asked the personnel there, but no one found it. For three days, I searched and searched, but could not find it, but did not give up. After three days of fruitless search, I returned to the Holy Spirit. By His grace I have never lost any possession in life. I use to say, none of my properties could be stolen because I did not steal money to buy them. So I returned to the Holy Spirit after three days of using my wisdom to locate my lost possessions, and asked him to fish out my glasses for him. Every day I engaged the Holy Spirit in a discussion. I petitioned him, and ‘queried’ I was not even praying to him, but at a point was really querying him why He allowed my glasses to be missing. I was not praying for a new glasses, as I believed the one I had, should not be missing in the first instance. I asked the Holy Spirit: ‘Holy Spirit, please where is my glasses?’; ‘Holy Spirit, fish out my glasses wherever it is’; ‘Holy Spirit why did you allow my glasses to be lost or missing, at least you were there when I misplaced it.? Why didn’t remind me to pick it?’ ‘Holy Spirit would you please bring back my glasses?’. To the glory of God, Holy Spirit brought my glasses yesterday. I went to that same restaurant when I suspected it was misplaced. As I sat down one of the workers walked in, and I told him am still looking for my glasses. He quickly went to a drawer and brought it out, saying it has been lying there for the past one week. I was pleasantly surprised because they have earlier searched and couldn’t find it in the restaurant. I returned to my hotel room and gave thanks to the Holy Spirit for bringing back my glasses. My testimony remains my possessions cannot be lost, and the power of God recovered my blessings for me in Jesus name. Also, the Holy Spirit confirmed once more to me that He is real. I pray as you do so in faith and righteousness, your testimonies shall manifest in Jesus name. This entry was posted in Babatope Babalobi, Christianity, Holy Spirit and tagged Babatope Babalobi, Bible, Christian, christian deliverance, holy ghost, holy spirit, Jesus Christ, save the world prayer blog, Success. Service to God: How should I serve God? How do we serve the Lord? Service to God is key to prosperity and good health. Service to the Lord goes beyond be a church goer, it means being a labourer for the Lord. Every labour you do for the Lord should end up directly or indirectly in winning souls. Many people are wondering why they are ‘serving’ the Lord through various activities, but are not receiving spiritual rewards. In some cases, people are really serving church leaders through hypocrisy to be rewarded with church positions. No thanks to the doctrines of many churches that have really replaced church service to Gods service. The contemporary church seems to be more interested in a crowd rather than winning heaven bound souls. Any church activity that you engage in that does not result directly or indirectly in soul winning is a waste of time, energy, and fruitless. It is anti-scriptural, anti-Christ, and is not a service to the Lord. If you want to experience the promises of Exodus 23 vs 25; and Job 36 vs 11 ensure you embark on aggressive soul winning in and/or outside the church. This entry was posted in Babatope Babalobi, Salvation and tagged Christianity, church, Evangelism, financial breakthroughs, God, Jesus, morning prayers, Salvation, Save the World, service, soul winning, Success. 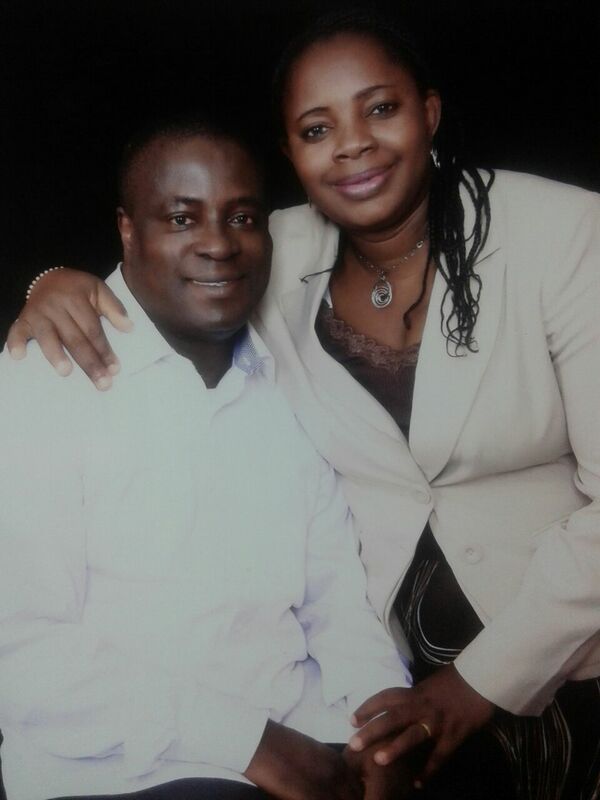 Today is my 19th year wedding anniversary, and on retrospect, I give thanks to God for giving me a happy home and a successful marital life, a lovely wife- Bukola Babalobi and godly children. This was my wish on August 3, 1996; and I have no regrets but joy in taking the marital vows, almost two decades ago.Thank God my marriage is working. What makes a marriage work? I have made a compilation of tips for successful marriage based on my 19years experience; hoping this will benefit aspiring and younger couples. 1. The fear of God to me is the first and most important factor that contributes to a successful marriage. Both couples, particularly the husband should have the fear of God; which implies both couples should be born again Christians. In my counsel to younger people, I have always said marriages often run into crisis when either or both partners do not have the fear of God. I have always advised believers against marrying anyone who does not believe in the God you believe in, as both of you should drink from the same fountain. It is the fear of God that leads the husband to love his wife; to be a responsible husband and father; it is the fear of God that prevents the man from extra marital affairs; it is the fear of God that keeps him in the house to work out the success of his marriage; it’s the fear of God that makes him to understand the sanctity of marriage and the need to keeps its covenant. By the grace of God, I can openly boost of not knowing any other woman or not indulging in a single extra marital affair for the 19 years, in spite of my often long travels from my home. What has kept me in check is simply the fear of God that restrains me from indulging in sexual sin, not only against my wife, against my body, as well against my God. On the part of the wife, it’s also the fear of God that keeps her in check; submitting to the husband as extolled by the scriptures; and avoiding acts that could risk the success of the marriage. 2. The second important factor for a successful marriage is the role of the Church. If both couples are Christians and associate with the body of Christ, the chances of marital crises are lower. The Church plays a moulding and balancing role in the lives of Christians. I regard the church as the most influential institution for Christian homes. Marriage itself is instituted by God, and the church represents His body on earth. So what a good church does through its messages is to develop the character of the couples; and as they grow and develop in the Christian faith, the works of the flesh (anger, lying, pride, arrogance, greed, selfishness, sins etc) that often causes quarrels at homes gradually disappears. My wife spends a substantial part of her daily life in church related activities. Occasionally I complain, but I am also quick to realise that this keeps her in good godly company, away from negative peer pressure, gossips, and bad company. 3. The third important factor for me is Openness and Transparency. There should be no secrets between couples, knowing fully well both of you are one flesh. Evil thrives under secrecy. Secrecy breeds suspicions. By the grace of God, my wife and I both try to be as open as possible. My wife knows my salary, even all my children know my monthly salary, as I believe there is nothing to hide; and I spend it on things mutually agreed. Every month, I sit down with her to do a budget, even before the salary hits the account. At the early years of the marriage, specifically in the 1990s, when she was the only person working, and on a monthly salary of Two thousand naira (N2000), she normally handed over the remaining N1800 to me to spend, after removing the tithe. My wife and I are joint signatories to all my accounts- personal and corporate. She knows the Pins of my ATMS, and I know hers. An incident happened a couple of years ago, I traveled outside Nigeria. And as it is my normal practice, I handed over my phones to her as I did not want to miss my local calls. One of her colleagues at work was shocked, because her husband would never allow her to read his text messages or pick his calls even when he is at home. But this was a case of a man who handed his phones to the wife and traveled abroad. Of course, if I have affairs, I would not allow my wife free access to my calls and messages. I make it a practice to disclose all my relationships to my wife including the few female colleagues I am close with in or out of work. Openness instills trust and strengthens the bond. Anything you can not disclose to your wife is evil. 4. The fourth factor is self-will and determination on the part of the couple to make the marriage work. God has given us the power of self will, the freedom to choose between right and wrong. You have to choose to be a faithful husband,a responsible father and deliberately work towards achieving this. If you don’t want to become a polygamist, then you have to stick to one wife. I choose to make my marriage work in spite of all challenges and weaknesses, and thank God it is working. When I visited United States for the first time in many years ago, I faced pressure from a close relation to stay back and elope with an arranged ‘wife’ in California to facilitate the legalization of a stay in US. But I choose to respect the sanctity of marriage and returned back to Nigeria with its harsher economic realities. No one commits sin unintentionally, and the quality of our lives is the outcome of the decisions we have taken in the past. It has also not been a bed of roses. The first decade was particularly trying, but the grace of God was sufficient to overcome challenges. 6. I look at the future with greater confidence, believing my marriage like the path of the righteous shall be brighter and filled with more testimonies in Jesus name. At a time forces of darkness have unleashed attacks on Christian homes, my prayer is that our homes shall remain aglow radiating Gods love, faithfulness, grace, favour, deliverance, and mercy in Jesus name. This entry was posted in Babatope Babalobi, marriage and tagged cheating men, God, Jesus, marriage, wife cheating. Bible study: What is first fruits ? There are many interpretations of first fruits offerings, but Proverbs 2 vs 9 gives more insight into what constitutes first fruits offering. Find below my own interpretation of first frutis. My first fruits is an offering from my salary increase. My first fruit is an offering from my new job. 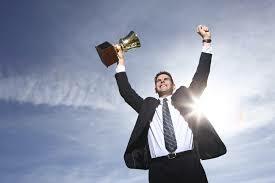 My first fruits is an offering from a higher profits of my company over a period of time. 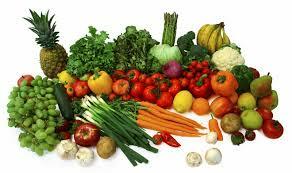 My first fruits is an offering material or monetary from a new business I have just commenced. My first fruit is an offering from a new bonus or allowance on my usual salary. If a get a new contract higher that my past contracts, or a new job whose salary is higher than m y previous jobs, I should pay a first fruit offering from my new income. My first fruit is generally an offering from any activity that legitimately increases my financial worth. This entry was posted in Babatope Babalobi and tagged Bible study, Christian, Christianity, Faith, financial breakthroughs, first fruits, firstfruits, gifts, offerings, Save the World. The verse above holds the secret of answered prayers. If you delight yourself in the Lord, and the Lord delights in you, He will surely answer your prayers before asking. How can you delight your self in the Lord? Flee from sin– The Lord will take delight in you if you fear Him by obeying his commandments. Read His words- The Lord will take delight in you if you are always reading and meditating on his words as contained in the Holy Bible. Be a Soul winner- You can greatly delight yourself in the Lord by being a passionate and consistent soul winner. Do the work of an evangelist. Soul winning brings joy to the presence of God. Pray always- Prayers is communicating with God, but the prayers of someone who wants God to delight in Him is not about murmuring, grumbling, or only about asking. If you pray more in the spirit, you would definitely be praying more according to the will of God. Be an Abel- If you are frugal towards the things of God, you should not expend God to delight in you. Abel gave a fat offering, and the Lord has respect for his offering. 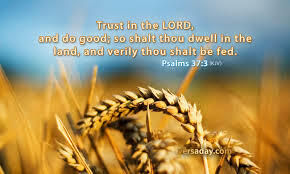 Trust and Obey– Faith pleases God, and Obedience to divine instructions makes you a man after Gods heart. This entry was posted in Babatope Babalobi, Breakthroughs, Prayers and tagged Bible study, Christian, christian prayers, Christianity, deliverance prayer, Devotionals, financial breakthroughs, God, Jesus, morning prayers, Prayers, psalm. ‘they slew not any’– verse 2. God still intervenes when the enemy attacks you. 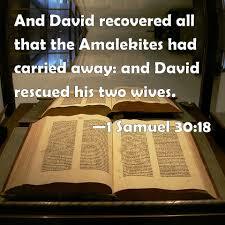 God did not allow the Amalekites to kill the wives and children of David. They merely took them captive. 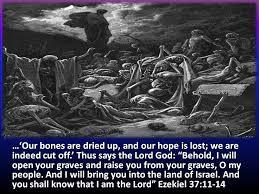 If the Amalekites have killed all the inhabitants of Ziklag when they attacked the city, David would have come and find all members of his household dead. David was able to rescue his household taken captive, because they were still alive, as God restrained the Amalekites from killing them. ‘David was distressed, grieved, and was about to be stoned to death’– verse 6. Are you presently grieved, depressed, and on the verge of committing suicide? David was in a similar situation, but he was able to overcome this. If you follow the steps of David, you shall surely overcome your present grief, depression, and anxieties in Jesus name. ‘But David encouraged himself in the Lord his God’- verse 6. In whom are you encouraging yourself, when you are in crisis- false prophets, your riches, friends, wisdom, or power? David looked up to the God of heavens when he was in crisis. The first step you need to take to overcome your crisis, is to hand over the burden to the burden bearer and crisis solver. ‘But David encouraged himself in the Lord his God’- verse 6. David could encouraged himself in the Lord because he had a relationship with God. He was a child of God, and ran to his father for help in trouble. If you are not a child of God, your father would not listen to you in trouble. Another step you need to take to overcome your afflictions and crisis situations is to become a born again Christian. 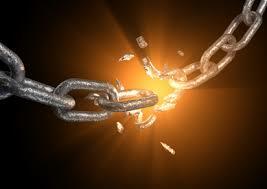 When you surrender your life to God, it includes your burdens, yokes, challenges, crisis, and difficulties. ‘And David enquired of the Lord’- verse 8. Another secret of overcoming crises is seeking the face of God. The Holy Spirit is the revealer of secrets and knows both the causes of your problems as well as the solutions. You need to enquire from the Lord the way out of your problems. David was able to overcome because, God told him the way out. And David enquired of the Lord’- verse 8. It goes without saying that before you can enquire of the Lord, you should have a relationship with God. God would not respond to your prayers, unless you are not walking in righteousness. God keeps silent when several people call to him in troubles, because their hands are full of sin and iniquities. The days of trouble shall surely come, from time to time, but you need to walk with God always to be able to overcome these evil days through divine guidance. ‘Pursue, for thou shall surely overtake them, and without fail recover all’ verse 8. Another lesson form this story is that you must be willing to PURSUE if you wish to overcome your problems. Many of us are docile, lazy, fatalistic, and fearful. David pursued his enemies, fought them, overcame them, and recovered all. If he did not pursue, he would not have overtaken. If he did not overtake, he would not have recovered. Depending on your circumstances, the act of pursuing may be different from what David did. But you need to take steps to move forward. You need to challenge powers that are oppressing you. You need to fight to recover your lost fortunes. Restoration may not fall on your laps unless you engage in a divine fight. ‘Pursue, for thou shall surely overtake them, and without fail recover all’- verse 8. God words are true. God is faithful. God does not lie, He does not fail, and He is sure. 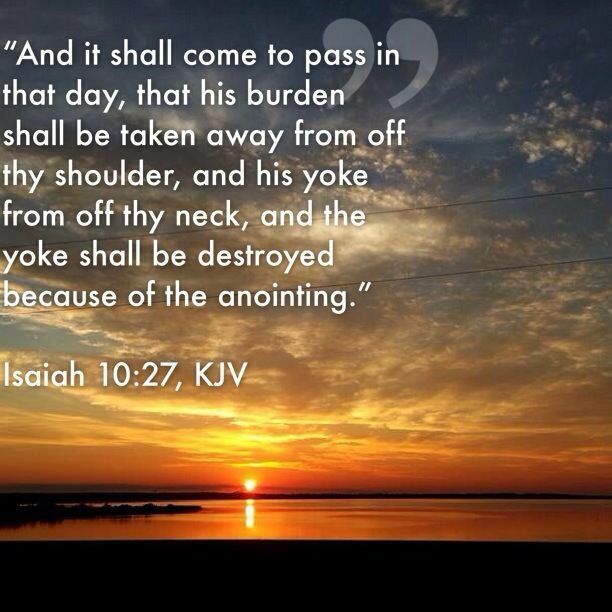 Just as God promised, God recovered all as stated later in verse 18 and 19 of this passage. If God has promised you, hold on to His promises in faith, they shall surely come to pass in Jesus name. ‘But David pursued’ – verse 10. God told David to pursue. David obeyed and pursued. Therefore obedience to divine instruction, when it looks irrational is also another principle of divine restoration. What has the Holy Spirit told you to do that you have refused to do out of fear or procrastination? You miracle is in obedience. ‘And they found an Egyptian in the field, and they brought him to David’- verse 11. God has positioned someone to guide you out of your problems, as you take steps, your divine helpers will manifest in Jesus name. David never knew the way the Amalekites went. He never knew their route. He simply pursued out of blind obedience. Then help came from heaven. He met an abandoned slave from the camp of the enemy who showed him the way. Help is on your way as you take steps to come out of your crises. God shall show you the way, when there seems to be no way. ‘And they gave him a piece of a cake of figs’ – verse 12. Be nice to strangers, as your deliverance may be wrought through them. David’s camp never knew who the Egyptian abandoned in the field was, and yet they treated him nicely. Several other people might have passed by him, thinking he is an unnecessary distraction and nuisance. Alas, he held the key to the way forward in David pursuit of his enemies. Your love for your neighbors and strangers may determine your deliverance. ‘I am a young man of Egypt, servant of an Amalekite, and my master left me because there days agone I fell sick– verse 13. That was the mistake of the enemies of David, which turned to be their nemesis. As the abandoned stranger led David to the camp of his enemies. Your enemies will always make a mistake that will lead to their downfall. Stop weeping. Pray to God to open your eyes to see the mistakes of your enemies. ‘And David recovered all’ –verse 18. David recovered all the enemies stole from him. You can recover all if you follow the principles of David. You can recover your marital joy, your job, finances, health, and most importantly your salvation in Jesus name. This entry was posted in Babatope Babalobi, Divine Help, God and tagged Babatope Babalobi, Bible, Christ, david, Deliverance, Help, Jesus, Restoration, sermons, spiritual warfare, Success. Mathew 16 vs 24: Then said Jesus unto his disciples, If any man will come after me, let him deny himself, and take up his cross, and follow me. What does it mean to take the Cross of Jesus? Follow Jesus blindly, foolishly and always. 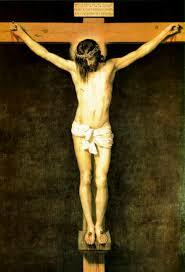 What is the cross of Jesus? What does it mean to take up the cross of Jesus? 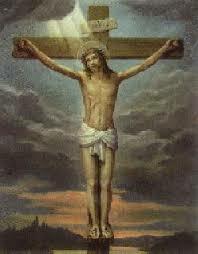 The cross of Jesus Christ means readiness and willingness to undertake any sacrifice in order to win a soul. It includes using your time, money and your energy to serve Christ. Taking the cross of Jesus Christ means making God first i.e. making Him the first priority, planning for Him before planning yourself, placing His will not your will, serving His interest before serving your own interest, answering His prayers before you expect Him to answer your prayers. 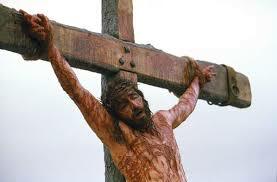 The cross of Jesus Christ means confessing Jesus as Lord, even to the point of death. 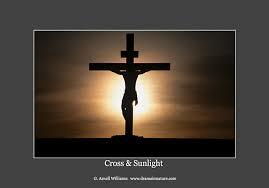 Taking the cross of Jesus means readiness and willingness to undertake any sacrifice in order to win a soul. It means whether you are rich or poor, whether you are hungry or well fed, whether things are moving out for you or not. You should still continually declare the goodness of God. The cross of Jesus Christ means readiness to forsake all the pressures of this world for the for the kingdom sake. Taking the cross of Jesus means readiness to forsake the pleasures of this world- money, fame, position, and power for a place in Heaven. Which means if a position is going into deny you a place in heaven, you are ready to forsake the position. If getting a job or contract is likely to deny you a place in heaven, you are willing to forsake the contract. This entry was posted in Babatope Babalobi and tagged audio sermon, babalobi, Babatope Babalobi, Bible study, cross, cross of calvary, cross of jesus, Jesus, Prayers, Religion, save the world prayer blog. The heart is deceitful above all things, and desperately wicked: who can know it? (Jer 17:9). The Heart is the engine room of the soul. It is the seat of all thoughts and emotions. Your heart can be any mood or can be in any state. It can be heavy, meek, good, evil, troubled, tender, feeble, pure, upright, honest, wicked, grieved, forthright, sorrowful, joyful, merry, proud, hardened, deceitful, foolish, or wise. How best can we describe your heart? Which of the adjectives above can best describe your heart? Our hearts will either take us to heaven or hell. Whether you are going to make heaven or hell depends on what goes on in your heart and what actions you eventually take based on that. The Heart is our conscience. Every evil thought and imagination starts from the heart. Name it…… murder, assassinations, violence, sexual orgies, wickedness and many more of such. It normally starts when the enemy drops an evil idea in our hearts. And unless we reject this immediately, we start to process this and magnify it. The Heart knows good and evil and can distinguished between the two. No one can be deceived into committing evil by his heart. When you are committing a good act, you heart is there approving you, and when your are about to commit an evil act, your heart will also disapprove of it, but in most cases because of our stubbornness, we ignore the counsel of our heart. The spirit of God knows every thought that is going on in our heart. Our hearts must be seared with the word of God always. We must never think of anything that is contrary to the plans of God in our hearts. Our hearts are in His hands, and we cannot hide it from Him. God knew through the heart of Esau that he was plotting evil against his brother Jacob. God hardened the heart of Pharaoh so that he could bring him and the Egyptians into destruction and gain glory and deliverance for His people the Israelites, and Delilah was able to betray Samson her lover, because Samson poured all his heart secrets to her. Part of the things God will use to judge us is the thoughts of our heart. We must therefore be extremely careful what we process in our hearts. The Spirit of God records every thought of our heart. The heart is the cemetery of several unanswered prayers. Our hearts must match what our mouth says. If we confess Jesus is Lord, and we think contrary in our hearts, then the spirit of God will take us as unbeliever. God takes serous what is in our heart more than what we say with our mouths, a lot of faithlessness takes place in our hearts. The contrary thoughts of our hearts have turned our heart into the burial ground of most our prayers. If you pray with all your might but you do not believe in your heart that the prayers have been answered, then the prayers will remain unanswered. Our heart is the seat of our relationship with God our creator. Hannah prayed to the Lord at Shiloh with her heart and her voice was not heard. Our heart is the seat of intense battle between the forces of light and darkness. There is an intense battle going on every moment, every second, every minute, every hour, very day, every week, every month, every year, every decade, every generation, and in fact throughout our life over our hearts. The forces of light are battling over your heat to win it for the kingdom of God and enjoy eternity in heaven, while the powers of darkness are struggling to gain control of your heart for the Kingdom of Hell. Every moment the forces of darkness are attempting to influence you to imagine evil and commit sin, and at the same time the forces of God is reminding you of the wages of sin and urging you to remain righteous. This is the battle of the heart and you have to overcome it and live a victorious Christian life in holiness. But you cannot win the battle by your own power, you need the Holy spirit to give you a new heart that is pure towards Christ to enable you win the battles of your heart. Jesus is willing to give you anew heart today if you wish. If you want Jesus to help you win the battle of over your heart, then say this simple prayer. Father, in the name of Jesus Christ. I acknowledge that I am a sinner and have fallen short of your glory. I genuinely repent from all my sins and pledge to go and sin no more. I accept that by my strength I cannot win the battle over my heart. I therefore surrender my heart to you form this moment, Take over my Heart and give me a new spirit. Sanctify meet heart with your blood and clean away every filthy thought. I commit my life to you henceforth and I believe my future is secure in your hands in Jesus name. This entry was posted in Babatope Babalobi and tagged arteries and veins, audio sermon, babalobi, Babatope Babalobi, Bible study, Christian, christian prayers, Christianity, Deliverance, Devotionals, Faith, financial breakthroughs, God, good news, herat, sexual immorality, spiritual warfare, wickedness of man. 3 And God said, “Let there be light,” and there was light. 4 God saw that the light was good, and he separated the light from the darkness. 5 God called the light “day,” and the darkness he called “night.”And there was evening, and there was morning—the first day. Is there darknes s in your life? Is there voidness in your situations?Does your life seem empty and formless as the earth was in the begining. 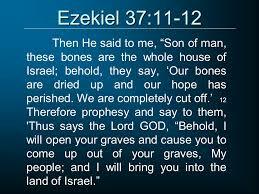 God spoke a word to the earth, you can also prophesised the word of God into your situations. That same Spirit of God that hovered the formless and empty earth is still around. As you invoke the power of the Holy Ghost, His power shall intervene and change in your situations in Jesus name. Listen to this audio sermon titled: Let their be Light in my darkness! This entry was posted in Babatope Babalobi and tagged Babatope Babalobi, Bible study, Christian, christian prayers, Christianity, deliverance prayer, deliverance prayers, Devotionals, Faith, financial breakthroughs, genesis 1, Jesus, let there be light, Religion, Save the World, spiritual warfare, Success. There are several weapons of warfare in the Bible, but Christians are accustomed to very few of them. This sermon outlines 24 weapons of spiritual warfare which Christians can deploy to achieve spiritual victories. This entry was posted in Babatope Babalobi and tagged Babatope Babalobi, Bible, Bible study, christian deliverance, christian prayers, Christianity, church, deliverance prayers, God, Holiness, Jesus, Religion, Save the World, spiritual warfare, Success, warfare, weaponsof warfare. Audio sermon: How do I overcome the enemy, the devil? Herein lies the power, authority and victory of Christians; and the powerlessness and cowardice of the devil. This entry was posted in Babatope Babalobi and tagged babalobi, Babatope Babalobi, Bible, Bible study, Christian, christian deliverance, christian prayers, Christianity, deliverance prayers, financial breakthroughs, God, good news, Jesus, Religion, Save the World, save the world prayer blog, Success. The Bible describes Noah as a blameless man, a perfect man, who received grace from God in a crooked and wicked generation. This entry was posted in Babatope Babalobi and tagged Babatope Babalobi, Bible, bible flood, Bible study, Christian, christian deliverance, Devotionals, God, good news, grace, Jesus, mercy, noah, save the world prayer blog, Success. The first man and woman fell in the garden of Eden, and the human race is still paying the price. The first man fell because of disobedience to God. Unfortunately, man is still disobeying God. This entry was posted in Babatope Babalobi and tagged adam, Babatope Babalobi, Bible study, christian prayers, Christianity, Devotionals, Disobedience, eden, eve, Faith, fall of man, God, Jesus, Prayers. Marital breakthrough: I want to get married now! It is the will of God that you get married. The institution of marriage was established by Him. 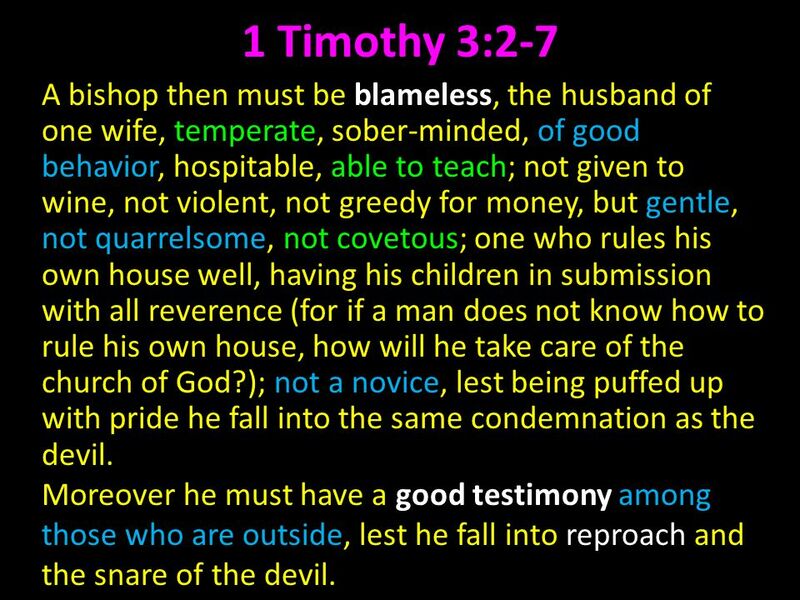 Marital delays, marital failures, marital crisis, and marital breakdowns is not of God but of the devil. Are you ripe for marriage? Do you desire to get married now? Now is the time your marital bells shall ring in Jesus name. This entry was posted in Babatope Babalobi and tagged babalobi, Babatope Babalobi, Christian, Christianity, church, deliverance prayers, Jesus, marriage, Prayers, Success, wedding. James 4 vs 7 says Resist the devil and it shall flee away. This verse contains the secret strategy Christians need to adopt to overcome any problem. This entry was posted in Babatope Babalobi and tagged Babatope Babalobi, Christian, christian deliverance, christian prayers, Devotionals, Faith, God, holy spirit, Jesus, Religion, Save the World, spiritual warfare, Success. Audio sermon: What are idols of the heart? Idolatry goes beyond worshiping false gods. There are several idolatry practices that we may not be aware of. These includes idols of the heart and mind. Anything that you cherish more than God is an idol. 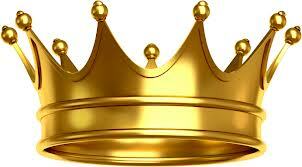 Anything that takes you away from the presence of God or does not glory God is idolatry. This entry was posted in Babatope Babalobi and tagged delvierance, God, Holiness, idolatry, idols, Jesus, Prayers, sermon. What is the Bible dress code and how to overcome jezebelic spirit? 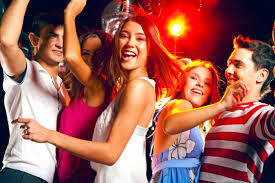 There is a lot of controversy of what constitutes decent or indecent dressing. 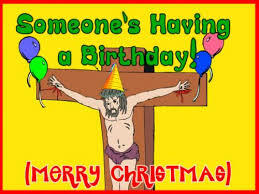 What is the dressing code for Christians? How should Christians dress in and outside the church? Can you commit a sin through your dressing? Related post: How should a christian dress up? This entry was posted in Babatope Babalobi and tagged babalobi, christian prayers, dress code, Dressing, financial breakthroughs, God, Jesus, Jezebel, jezebelic spirit, Save the World, save the world prayer blog, spiritual warfare, Success. This entry was posted in Babatope Babalobi and tagged babalobi, Babatope Babalobi, christian deliverance, christian prayers, deliverance prayer, deliverance prayers, financial breakthroughs, God, haman, Jesus, mordecai, Religion, Save the World, save the world prayer blog, spiritual warfare. This entry was posted in Babatope Babalobi and tagged babalobi, Bible, Bible study, Christian, christian deliverance, deliverance prayers, Devotionals, financial breakthroughs, God, Jesus, joseph, Save the World, spiritual warfare. Spirit husbands and wives are responsible for various marital crises including explainable delays in getting married, marital disappointments, marital failures, bareness, failed pregnancy, divorces, and marital breakdowns. This entry was posted in Babatope Babalobi, marriage and tagged Babatope Babalobi, Bible, Christian, christian deliverance, christian prayers, Devotionals, Faith, marital crises, marriage problems, pastor adeboye's sermons, Save the World, save the world prayer blog, spirit husbands, spirit wives. Jesus has given us power to cast out strange spirits and receive deliverance. What are demons? What are the activities of demons? How could Christians overcome demons? What are the strategies of effectively casting out demons? This audio sermon is a must listen for anyone who wants deliverance from demonic oppression. This entry was posted in Babatope Babalobi and tagged babalobi, Babatope Babalobi, christian deliverance, christian prayers, Christianity, deliverance prayer, deliverance prayers, demons, evil spirits, financial breakthroughs, God, Jesus, Religion, save the world prayer blog, Success. This entry was posted in Babatope Babalobi and tagged Bible study, Christianity, deliverance prayers, financial breakthroughs, God, good news, Jesus, Save the World, save the world prayer blog, Success. This entry was posted in Babatope Babalobi and tagged babalobi, Babatope Babalobi, Christian, christian prayers, church, deliverance prayer, deliverance prayers, Devotionals, midnight prayers, mountain of fire and miracles prayers, Prayers, Save the World, spiritual warfare. This entry was posted in Babatope Babalobi and tagged babalobi, Babatope Babalobi, Christian, christian deliverance, God, good news, Jesus, midnight prayers, midnite prayers, Prayers, Save the World. 2. Even mechanical objects need to be rested, how much more your body? 6. Rest refreshes the body, soul and spirit. This entry was posted in Babatope Babalobi and tagged body, Death, depression, Devotionals, Health, long life, sleep, tiredness. How do I succeed in Business? What are the spiritual principles for success in Business? Using Proverbs 24 vs 3 and 4 as a reference, this audio sermon discusses the steps every christian man or woman needs to take to success in Business. This entry was posted in Babatope Babalobi and tagged babalobi, Babatope Babalobi, Bible, christian deliverance, christian prayers, Christianity, deliverance prayers, Prayers, Save the World, spiritual warfare. Several Christians are undergoing various afflictions such as sickness, debt, and failures. You may be one of them, and your life may look stagnant, void and the future may look bleak now. This entry was posted in Babatope Babalobi, God and tagged babalobi, Babatope Babalobi, christian deliverance, Christianity, deliverance prayer, deliverance prayers, Devotionals, Easter messages, Failures, Faith, God, Help, poverty, spiritual warfare, Success, victory.